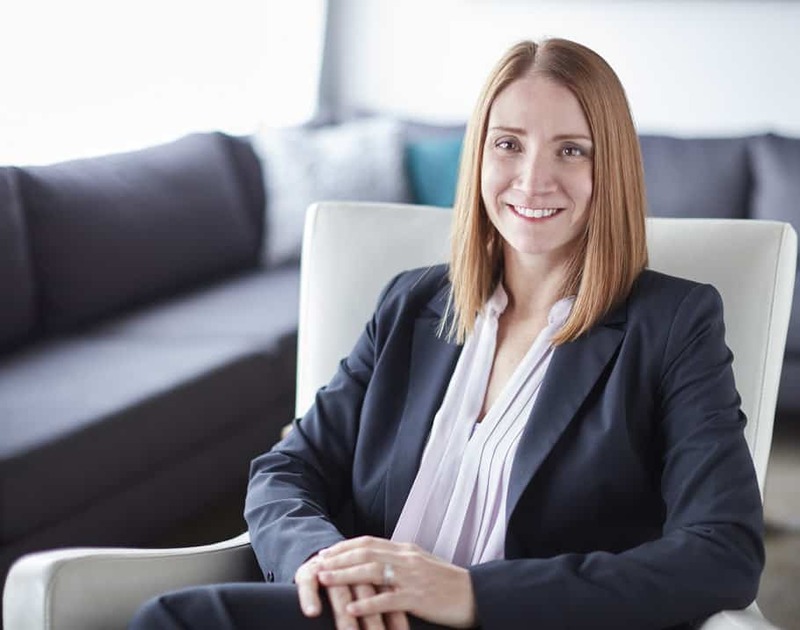 Angie leads JurySync’s Research Team in the design and implementation of high-quality research programs, analysis of juror feedback and development of juror profiles and tools that arm our clients for success in the courtroom. She draws upon her communications expertise and years of listening to jurors when crafting genuine, effective trial themes and strategies. I have a Master’s Degree from the University of Kansas in Communication Studies. My emphasis was on political communication and argumentation. While at KU, I taught classes in public speaking and rhetorical theory and led focus groups for the Commission on Presidential Debates. I have dual bachelor’s degrees in Communication Arts and Spanish from the University of Wisconsin-Madison. We value quality and work well together as a team. Everyone who works here is career-oriented and genuinely wants to do a good job for our clients. We care about each other and our clients. Q: What have been some of your biggest professional achievements? Our clients are savvy consumers of jury research, and we often hear that our projects were the best run and our work product was the best they had seen. That means a lot. I believe strongly in executing high quality jury research and other services, consistently. High quality research is the foundation that enables us to give sound advice. I’m also proud of my contributions to the strategic advice we give our clients. I’m adept at analyzing juror feedback and finding patterns that help identify what resonates with jurors. Three things: Know your audience. The more you can learn about your jurors, the more you can tailor your arguments to their life experiences and attitudes – they will ultimately interpret your case through this lens. Be yourself. Jurors are more likely to believe your message is genuine when you are being genuine. Provide a narrative framework for jurors to interpret the evidence. The framework makes the evidence easier to remember and interpret and can often give jurors a reason to be on your side. You need to turn your jurors into advocates for your side in the jury room. I’m from Milwaukee. I grew up in Whitefish Bay, a small village on Lake Michigan. My dad was a computer programmer and analyst. My mom stayed at home and served on the school board for many years. I have an older brother and a younger sister.